Quite a few things are about to happen today/recently which might affect the forex market considerably. 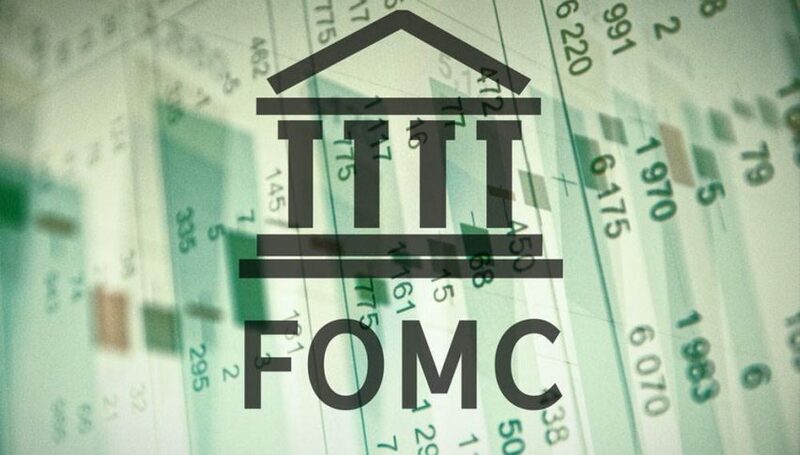 Starting from the last event, the FOMC minutes are expected to be released at 6 pm GMT time. I was concentrated on the other events today so totally forgot about them. Donald Trump has been pretty vocal against FED’s tightening monetary policy, so it will be interesting to hear what FED members have discussed in the meeting. Have they ducked in or are Trump’s comments going to make the FED even more stubborn in raising interest rates? The meeting between Chinese and US officials is going to be held today in Washington. The purpose of the meeting is to find a common ground for both economic giants in this trade dispute. But, Trump didn’t sound too optimistic about it earlier this week which means that he probably doesn’t want an agreement. On another subject, Michael Cohen has been found guilty but his lawyer said today that “there is no dispute that Trump committed a crime”. But he added that Cohen has knowledge of Russian conspiracy. I don’t know what that means exactly, but it is not positive for the USD. Kuwait Want Oil Production Quotas to Be Reviewed – The Kuwait Oil minister said earlier today that OPEC and non-OPEC oil production is to be reviewed in the 23 September meeting in Algeria. Some members have been eating on quotas from members who can’t reach them, so Kuwait is complaining. China Says the Meeting Can Produce Good Outcome – The Chinese Foreign Ministry commented early and they sound hopeful, but that is the best that can come out of this meeting in my opinion. Trump said so himself earlier this week and unless China ducks, I don’t think Trump will back off. China is not in a good place with the trade war and if things get worse, there might be unrest in China which would be bad for the communist party. BOJ Kuroda Will Miss the Jackson Hole Symposium – The head of the Bank of Japan will miss the Jackson Holy Symposium which is one of the biggest meetings for central bankers. Not sure why, but the Deputy Governor will take his place. US MBA Mortgage Applications – US Mortgage applications backed by the Mortgage Bankers Association increased by 4.2% this week after having declined by 2.0% last week. All the components are positive as well, but this is the first positive reading in the last six weeks. Canadian Retail Sales Turn Bearish Again – Last month we saw a surprising jump in Canadian retail sales. They jumped by 2.0% while core retail sales increased by 1.4% and they were revised even higher today. But, the figures for July came negative. Core sales declined by 0.15% as expected while the overall retail sales declined by 0.2%. USD/CAD trembled up and down for a while and came back to where it was. US Existing Home Sales – Home sales are expected to come at 5.40 million, up from 5.38 million previously. This would be the beginning of the reverse from the bearish trend of the last several months. US Crude Oil Inventories – Oil inventories posted a surprising jump of 6.8 million barrels last week which sent Oil and the CAD tumbling lower. Today they are expected to decline by 1.6 billion. Oil is turning bullish today after trending down for several weeks, so today’s number might help its cause or turn it back down. FOMC Meeting Minutes – The minutes from the FED last meeting will be released this evening. The interesting thing is whether FED members will be affected positively or negatively by Trump’s comments to keep the monetary policy accommodating. This might go Trump’s way but it might go the other way and upset the FED board members which will then lead to more aggressive hiking, if the economy allows it. We haven’t received any comments from the FED on this matter, that’s why it will be interesting to see what they talked in their last meeting. We have an open sell forex signal in this pair which we opened yesterday below the 50 SMA (yellow). The buyers continued to push higher in the next few hours, but the 100 SMA (green) provided solid resistance yesterday and it reversed the price back down. USD/JPY started climbing again today but the 100 SMA remained unbroken. It seems like the buyers can’t take out the 100 SMA and if that doesn’t happen anytime soon, then the bears will take things in their hands. The previous candlestick closed as a doji which is a reversing signal after the bullish move today, so hopefully, the bearish retrace will come soon. The European session was very light regarding the economic data, but there are some heavyweight events today in the US session. The US-China meeting and the FED minutes will surely stir things up, so keep an eye here for coverage as my colleague Shain covers these events, particularly the FOMC minutes.